What is primary eye care? Optometric physicians are primary eye care specialists. Our optometric physicians understand the visual demands of your occupation and leisure activities. 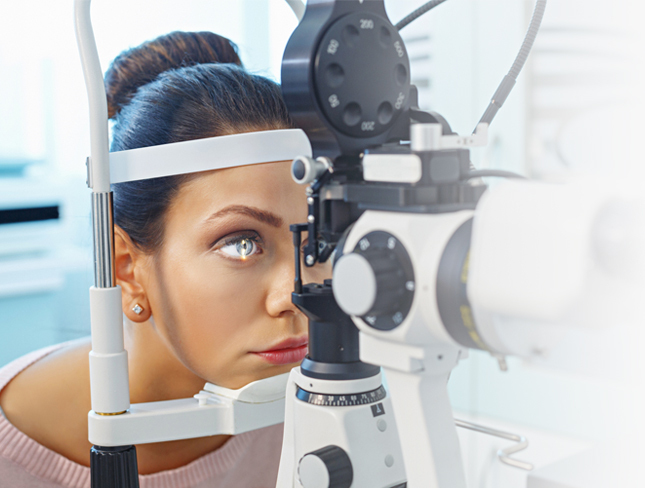 Using the latest, advanced technology, we are able to diagnose and manage ocular disease, including glaucoma, diabetic eye disease, dry eye, keratoconus, and ocular infections, as well as determine the most appropriate visual tools to suit your needs. Many people think that an optometric physician is only responsible for prescribing eyeglasses or contact lenses. While that is an essential part of our practice, we also examine, diagnose, and manage the majority of problems that can arise in the eye and visual system. As primary eye care providers in Federal Way & Puyallup, WA, and our 3 other locations, optometric physicians are essential members of the healthcare team. We often work with other health care providers to manage the ocular complications that can arise from systemic diseases. Occasionally, our patients need ocular surgery, for things like cataracts, LASIK, cosmetic lid surgery, and retinal problems. We are advocates for our patients, and this has led us to work with the very best surgical specialists in the area. Our goal is to ensure your excellent vision and ocular health throughout your life.